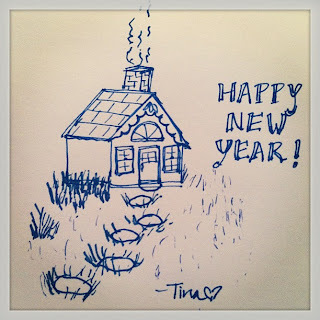 Summing up 2012 and Wishing You a Happy 2013! We are at the end of the 2012! This year has been a surprising and exciting real estate adventure for nearly everyone involved, myself included. For sellers, this year was a time to finally break even on the homes that they bought a few years ago. Home prices increased quite a bit, which allowed more sellers to save their credit (and sanity) by selling their homes as standard sales, rather than as short sales. Although buyers had record low interest rates on their side, buying a home proved to be quite difficult in 2012. Surprisingly, the culprit wasn't the increased home values. Instead, it was the extreme lack of inventory that caused the vexation of most buyers. Battling it out with dozens of other buyers in multiple offer situations proved to be the biggest hurdle for most buyers. In these multiple offer situations, the buyers that stood the best chance of getting accepted by sellers, were the cash buyers. 2012 was the year of the cash buyer. These no-nonsense cash buyers were buying up all the best deals in the Inland Empire area. Buyers with loans were able to snag up a few homes, but patience and knowledge of the changing market were key. Buyers who were able to recognize the changing market trends and adapt to them by lowering their expectations and increasing their down payments were able to get accepted on a few homes. However, as with any year's market, there are buyers who are still hesitant to acknowledge the current market. Hopefully next year's situation will be more accommodating for these buyers. If you have any home questions, please feel free to email me at tinajan@gmail.com or call/text me at 909-446-2666! I serve the Southern California, Inland Empire area, in cities like, Beaumont, Banning, Cherry Valley, San Jacinto, Hemet, Redlands, Yucaipa, Calimesa, Moreno Valley, Riverside, San Bernardino, Colton, Loma Linda, Grand Terrace, Highland, Ontario, Rancho Cucamonga, Upland, and surrounding areas.